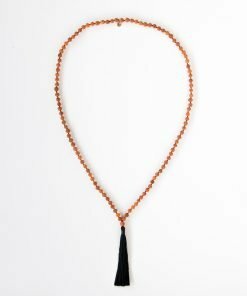 The color black can be used to absorb negative energy. 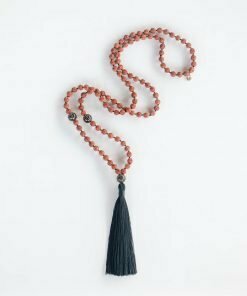 Black can protect you from harm and negativity, when traveling. The color black affects the mind and body by helping to create an inconspicuous feeling, boosting confidence in appearance, increasing the sense of potential and possibility. 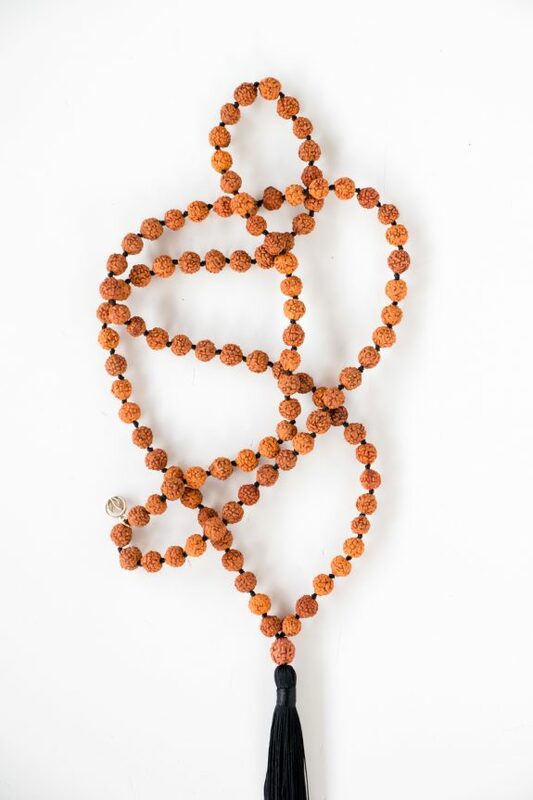 Sacred Rudraksha seeds, meaning “tears of Shiva” in Sanskrit, have been worn by Sages and Yogis since Vedic times for their profound spiritual significance and powerful healing properties and were treated as divine treasure to be cherished. 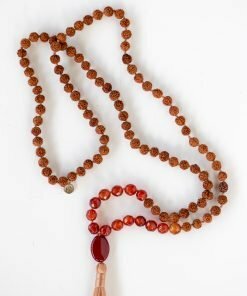 Sacred rudraksha beads are made from the seeds of the Rudraksha tree (Elaeocarpus ganitrus) and according to ancient Vedic texts, these beads are endowed with cosmic powers to elevate the soul and assist on the path of ascension. 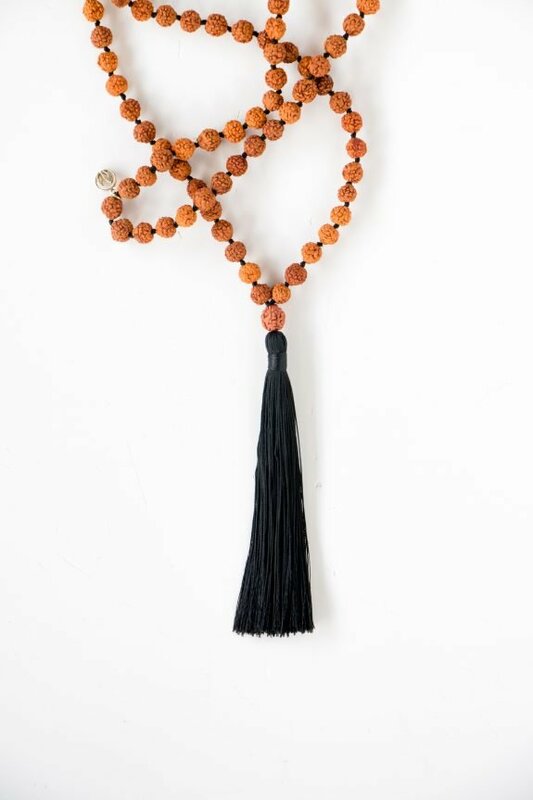 According to Vedic Scriptures, Lord Shiva once went into deep meditation for the well being of all living creatures. 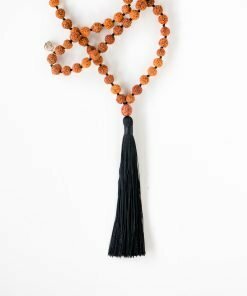 When he woke, he opened his eyes and tears of compassion fell to the earth. 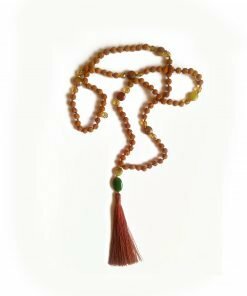 These tears took the form of seeds to assist humanity in our healing. 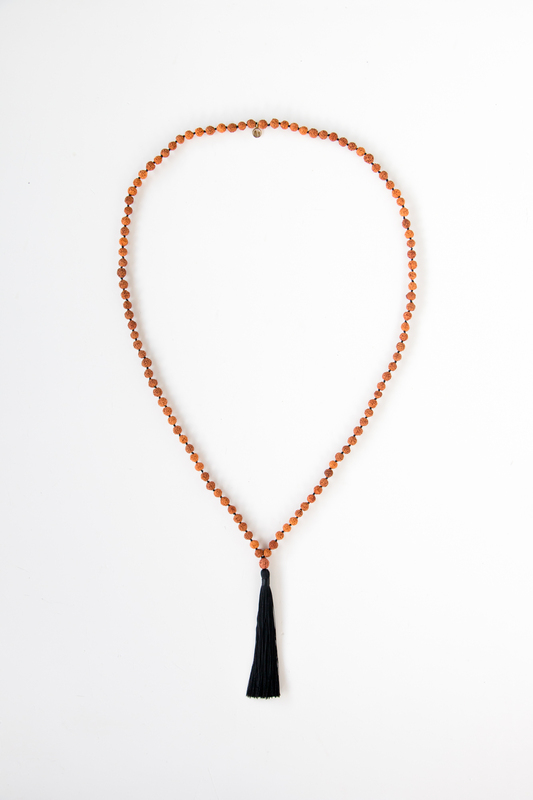 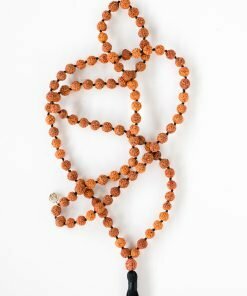 The dry seed from the Rudraksha tree form the rudraksha beads. 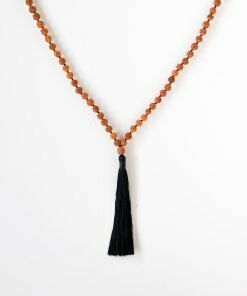 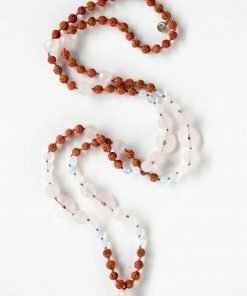 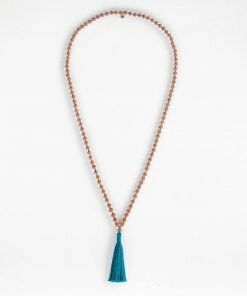 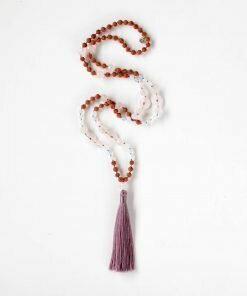 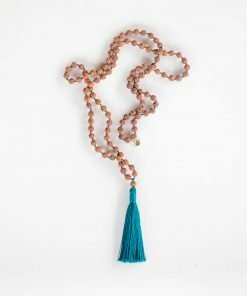 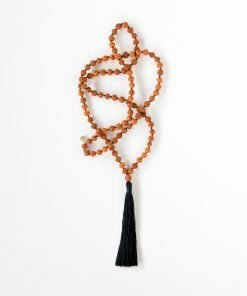 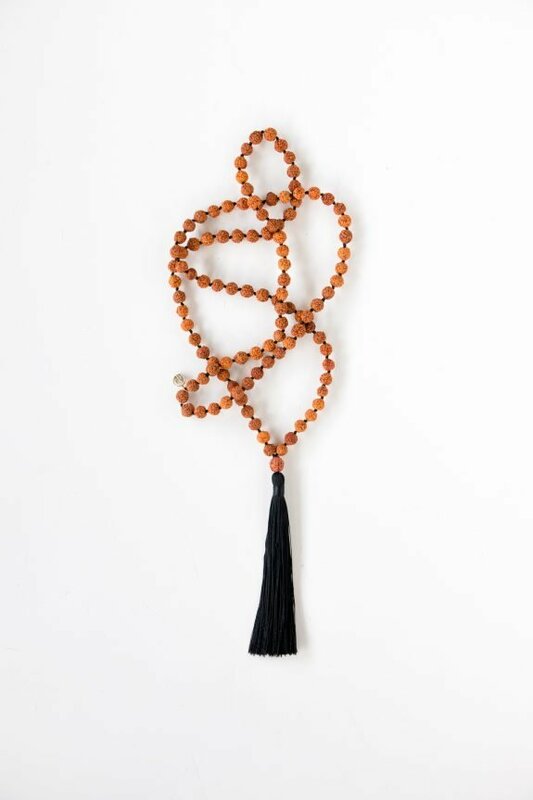 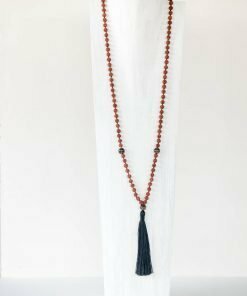 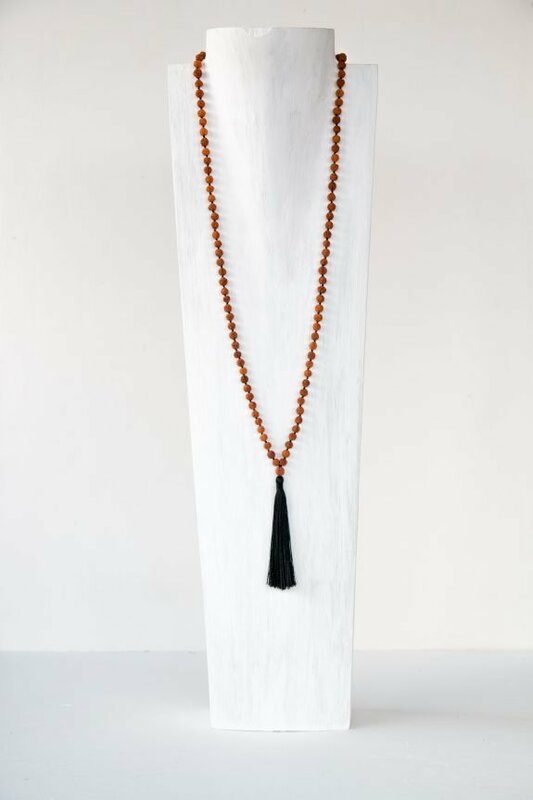 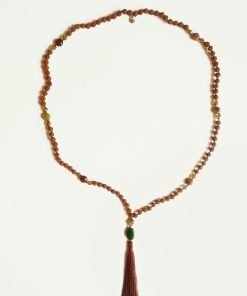 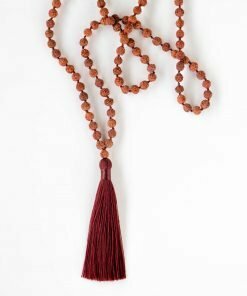 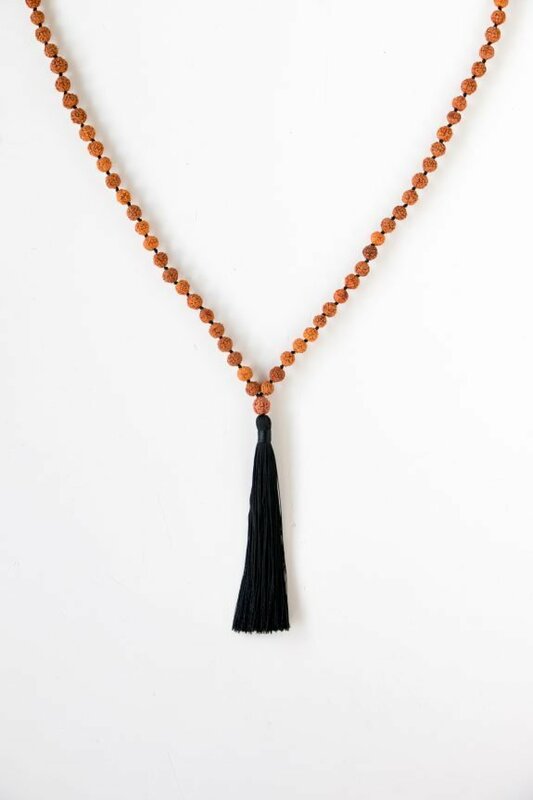 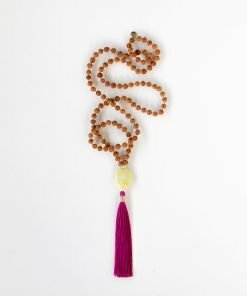 By meditating with a rudraksha mala or by wearing rudraksha against the skin it is believed to increase the ability to concentrate, giving clarity and peace of mind, as well as improving memory and relieving stress and anxiety. 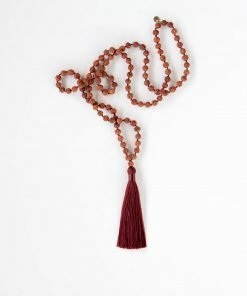 Rudraksha seeds are also said to increase stamina, reduce blood pressure, strengthen the heart and balances the nervous system and bestow divine protection and increase abundance and prosperity. 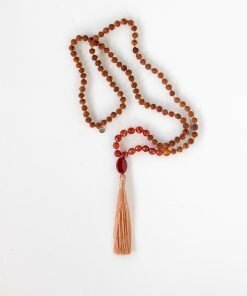 Not only that but the auspicious Rudraksha Seeds are believed to slow the aging process.